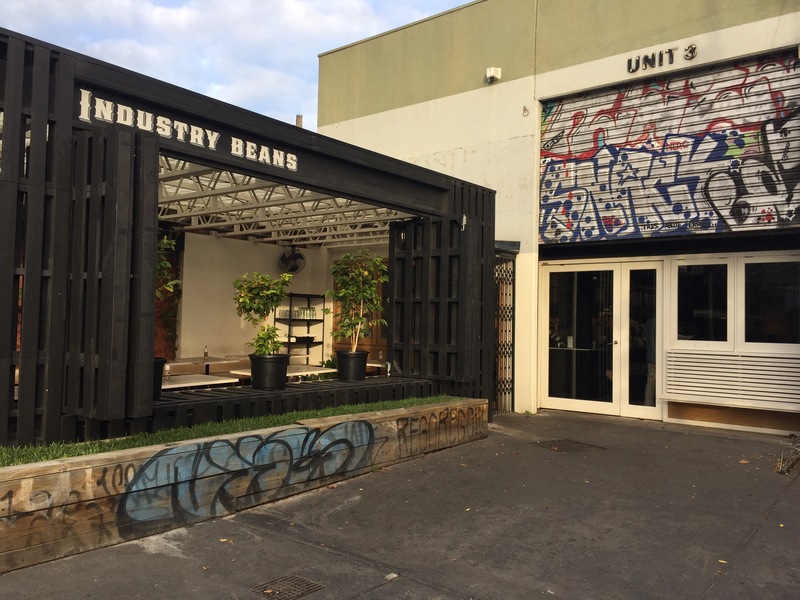 Fresh from the deconstructed coffee controversy (FYI nothing to do with them – thanks Daily Mail) and hidden away in the heart of Fitzroy is Industry Beans. 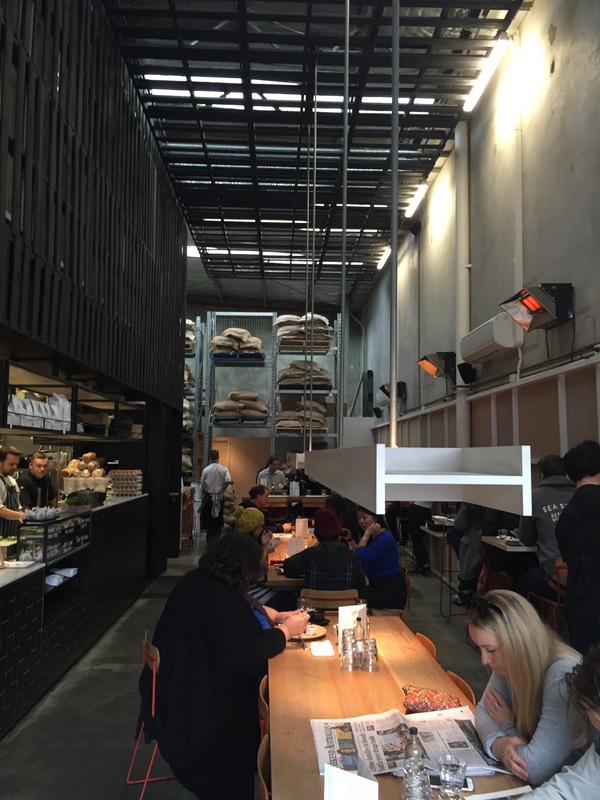 They’re a combined cafe and roastery, serving up excellent coffee in an uber cool space. 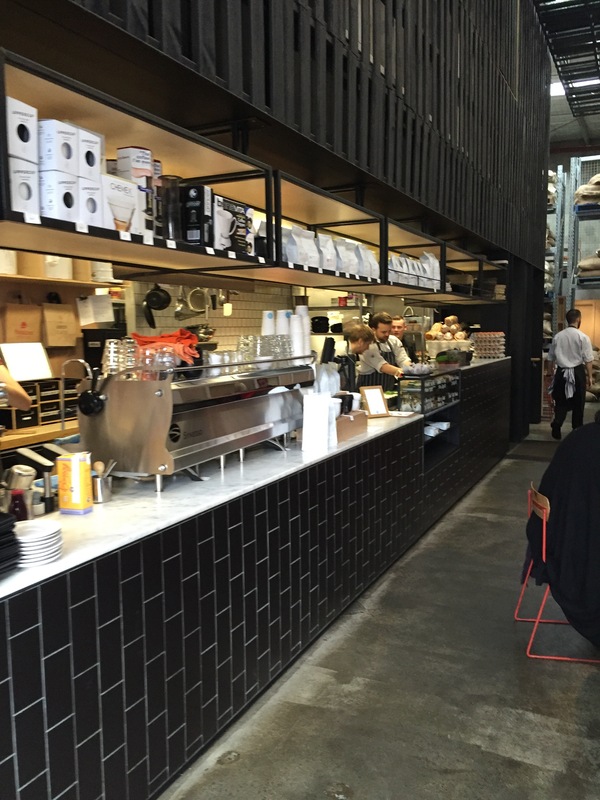 As the name would suggest, the space is industrial sheek. There’s raw floors and marble counter tops, but my favourite feature has to be the black tiles and white grout. We started our meal with coffee roasted in house. It’s a very strong brew with a knockout hit on the first mouthful. 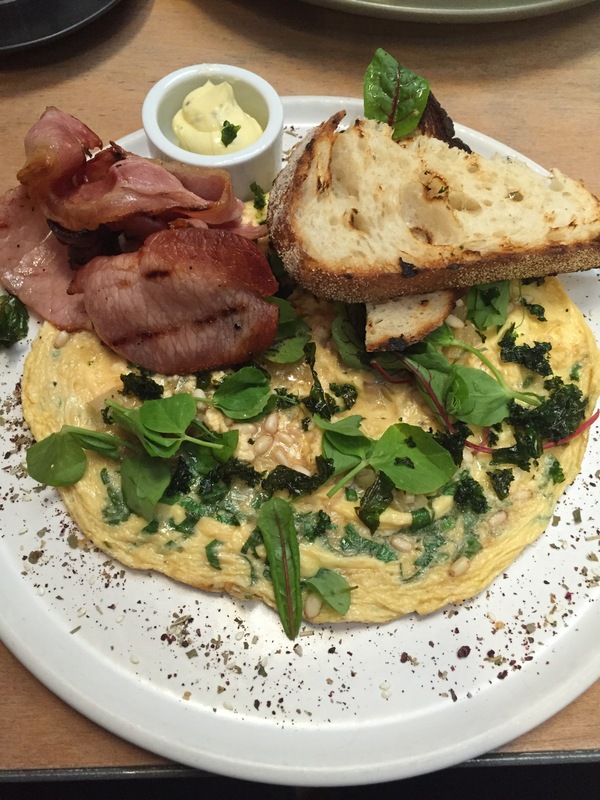 Our first meal was an omelette with crispy kale, bacon and pine nuts. It was well seasoned and nicely cooked. While being green and healthy it was also meaty and satisfying, a great compromise dish. 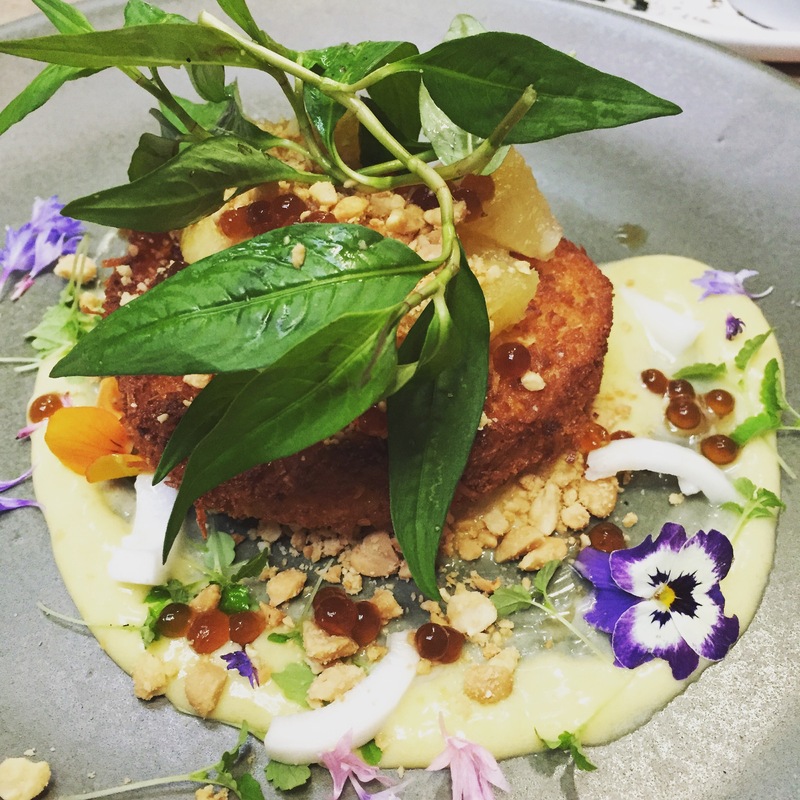 We also went for the coconut crusted brioche with lime curd, coffee caviar, peanut crumb and pineapple. It was a fantastic Asian inspired combination. We loved the tartness of the curd and the nuttiness of the peanut with a light brioche. While this wasn’t a French toast it was a fantastic dish. The little pops of caviar really stole the show. 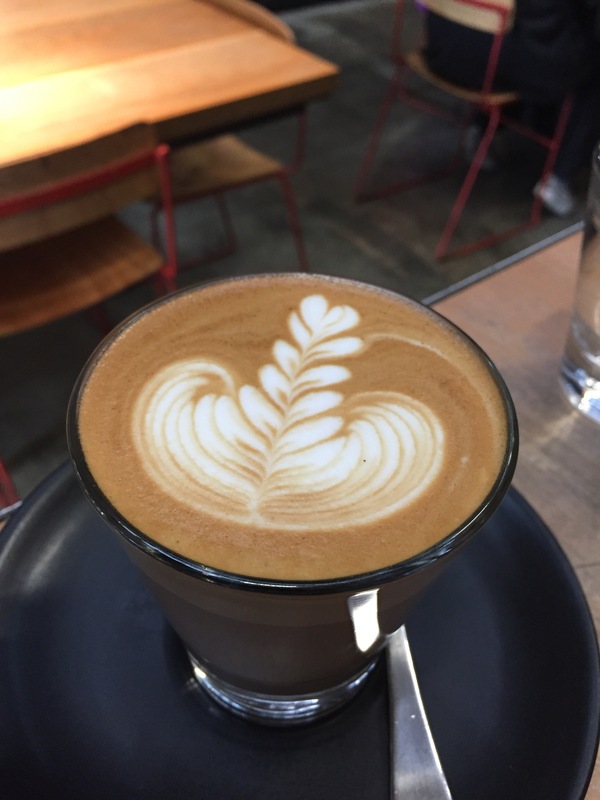 Industry Beans is a great spot with some delicious food and unique coffee.